Have you read any good shojo manga recently? Or do you just shy away from the whole genre because you think it's "just another romance manga"? Well, think again! We've cherry-picked some unique and incredible shojo manga from Kodansha Comics for you to try. Starting Tuesday, June 14, we are having a big sale on volume 1's of selected manga series on all digital retailer. 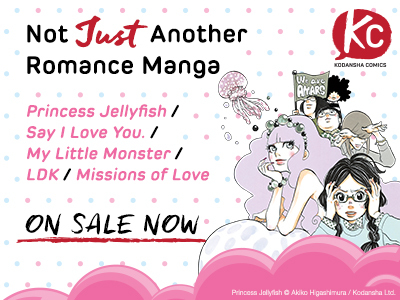 Princess Jellyfish is one of the rare series that started to get published from Kodansha Comics due to high demand from the fans, even before it was published! So what’s the hype all about? Part of it is the comedic and accurate portrayal of the lives of otaku girls, and part of it seems to be the name value of Akiko Higashimura, a charismatic shojo manga artist who adores shojo manga herself, and continues to make shojo manga for shojo manga fans. Only weeks before the release of Princess Jellyfish vol.2, we had a chance to interview Higashimura for the first time in English. 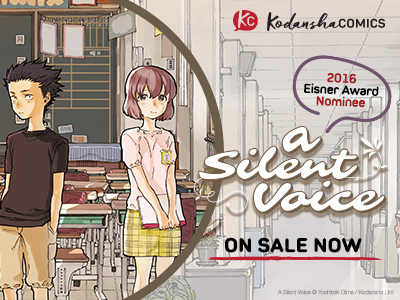 A Silent Voice is this year’s Eisner Award nominee from Kodansha Comics. It’s the story of boy meets girl … except its main focus is on how difficult it is for one person to communicate with another, especially if that other person can’t hear you. 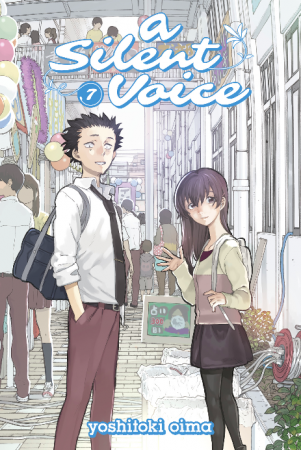 A Silent Voice came to its conclusion with the release of the final volume (Volume 7), which went on sale May 31. Within those seven volumes you’ll find real-life drama so painful and heartwarming, you can’t keep your eyes off it. 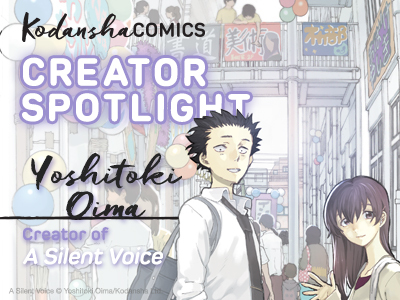 What’s the secret of A Silent Voice’s acclaim? Find out for yourself! 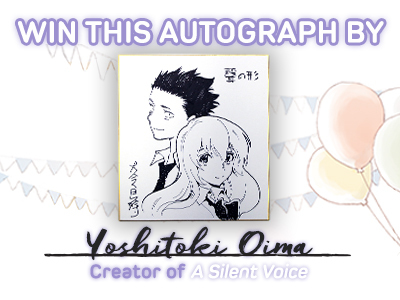 Yoshitoki Oima was only eighteen years old when she first started work on A Silent Voice. Most would-be mangaka aspire to going pro around that age, but what made Oima special was that she had a full story already in mind and the determination to tell it to the world. What led her to make that manga? Here, the creator of the Eisner-nominated manga series reveals her innermost thoughts for the first time. As a part of the Yoshitoki Oima Creator Spotlight, here's a rare video of Oima-sensei drawing Shoya and Shoko from A Silent Voice (from Kodansha Comics' YouTube series, These Hands Make Manga). A Silent Voice is a nominee for 2016 Eisner Award for "Best U.S. Edition of International Material––Asia." With the release of its seventh and final volume, the complete series (volumes 1-7) is available now from Kodansha Comics.